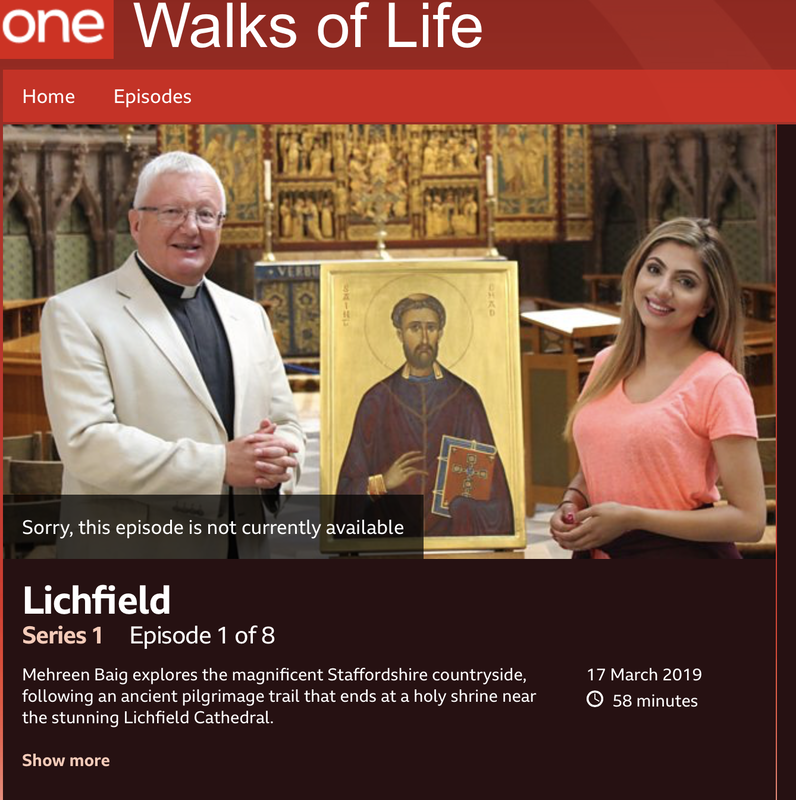 In July 2018 a film company visited Lichfield and district to film an episode for their 'Walks of Life' series in which Mehreen Baig engages with people in mostly countryside settings to discuss their faith in relation to nature. Several people who have been involved in the Two Saints Way were interviewed. We are not sure the date for the episode based on the Two Saints Way, which was anticipated as the first episode, but keep your eye out on Sunday mornings and on iPlayer too.